Are you looking for reliable local movers? Look no further! House To Home Moving Company is your trusted source for local movers. Local moves are any moves within one hundred miles from door to door. This could be a move within your community, a move down the street, or a move to the next city and everything in between. These moves are typically priced by the hour and have a minimum hourly charge. Time starts when the movers arrive at the origin to load the truck and time stops when the last piece is put in place and the move is complete. You are not charged from the warehouse to origin or from destination back to the warehouse. However, you are charged double drive time from the origin to the destination. A free moving estimate will give you this price in writing with a Not To Exceed price for the total move. With House To Home Moving, our estimated price is our not to exceed price. The Not to Exceed price is the amount your move will not go over. The exception to this is a change in service or added service not originally discussed on the estimate. 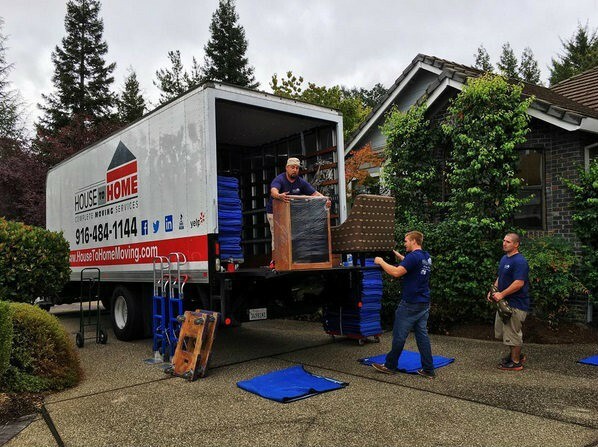 With great rates and amazing customer service, House To Home Moving Company has earned a great reputation in the local Sacramento community.